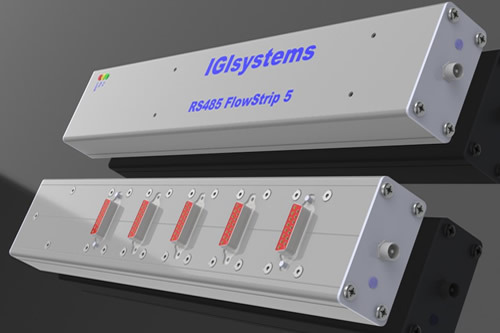 The Flowstrip 5 provides power and USB-RS485 communication to 5 digital flow devices of type 5850, 5851, 5860, 5861. It is aimed at flow solutions where Brooks Instrument devices of the same device type and the same form-factor are employed. 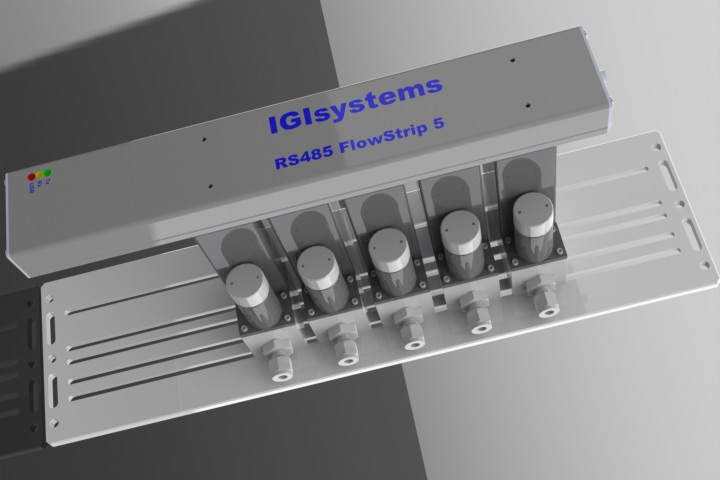 Simply pre-align and mount the flow devicse on the IGI Mounting Plate and press the FlowStrip 5 into position. Secure to the flow devices via the captive screws in the two end D15 connectors in the FlowStrip 5. The FlowStrip 5 is an out-of-the-box solution, and comes complete with IGI Mounting Plate, 24V DC external power supply and USB cable. 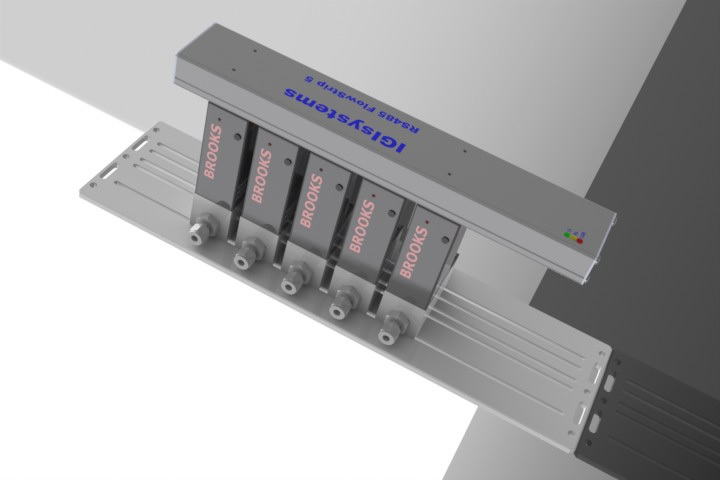 Interface and use your Brooks Instrument digital flow devices in minutes.